Trade Ambassador Kapneck represents the State of Maryland, to help promote business in the state, and bring new businesses that help to improve the economy and increase employment for citizens of the state. Philip Kapneck has been Maryland Trade Ambassador since the 1970's when he was appointed to travel to Brussels, Belgium to start a trade mission there. Thank you for visiting this official web site, presented by the State of Maryland. It shows some of the related work that has been done over 40 years. This has all been compiled from articles and stories found on the internet and in business news. Trade Ambassador Kapneck celebrated 40 years in October 2014. He is famous for starting the Maryland International Business efforts in Brussels in 1972, before being appointed the Maryland Trade Ambassador by Governor Marvin Mandel in 1974. Each governor thereafter renewed the appointment through 2014. Ambassador Kapneck retired as Trade Ambassador in 2014, after 40 years' service. PressBrains announces the publishing date for the business biography of Maryland's Trade Ambassador Philip Kapneck, who served the state for 40 years. The first printing is set for the second week of December 2018 and the book will be available shortly thereafter. Philip Kapneck, Maryland Trade Ambassador for 40 years, may be the subject of a business biography. Ambassador Kapneck, who was instrumental in creating hundreds of thousands of jobs, never sought publicity, preferring to work behind-the-scenes, helping his fellow man. Baltimore Post Examiner tells the intriguing story of Philip Kapneck – who served as the Maryland Trade Ambassador for 40 years. The story notes "It’s very rare for a high-level public servant to keep their job for more than a few years, particularly when the administration changes." This is why the story of Philip Kapneck – who served as the Maryland Trade Ambassador for 40 years – is so unusual and intriguing. Interview with a former Maryland State Government official who worked for many years with Maryland Trade Ambassador, Philip Kapneck. Philip Kapneck celebrates 40 successful years as Maryland Trade Ambassador. Governor Marvin Mandel first appointed Mr. Kapneck to the post in 1974. Scott Menzies met Philip Kapneck and Robert L. Walker in Maryland, in 2011. He wrote about how they positively affected his business. 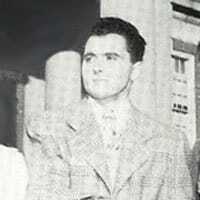 Ambassador Kapneck and Robert L. Walker were both working for the state of Maryland. NewsBlaze honored Philip Kapneck with the NewsBlaze 2015 Business Support award for his service to the state of Maryland for 40 years, as the Maryland Trade Ambassador. Our research shows he is also the longest serving State Trade Ambassador of any U.S. state. The writer said "Maryland has leaders like Trade Ambassador Philip Kapneck who has given to the state by working hard to create jobs and attract businesses/industries (both international and local) into Maryland." Philip Kapneck, the Maryland Trade Ambassador, reintroduced ribbon cutting ceremonies to Maryland businesses in 1976. This was documented in the NewsBlaze story, Ambassador Kapneck’s Ribbon Cutting Creates Celebration. 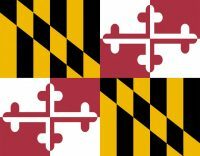 The Maryland Trade Ambassador and the Maryland Secretary of the Cabinet were recently approached with information suggesting that some people who are looking for other options in the current job market may consider Franchising. Philip Kapneck, the Maryland Trade Ambassador, used the words "Have a Positive Outlook and Attitude in Business and in Life" as his motto in 1970, and I am told he continues to use this motto today. A story about polo player Philip Kapneck, before he became Maryland Trade Ambassador, a meeting with Princess Anne, a British Ambassador, and a polo pony who wanted to race. Philip Kapneck, Maryland's Trade Ambassador, is to celebrate the twenty-fifth anniversary of Embassy Night in October 2013. The World Trade Center Institute, Legg Mason and the Maryland Department of Business and Economic Development host the event. Business leaders, executives, Ambassadors and senior Embassy representatives attend the VIP dinner each year. Philip Kapneck, the Maryland Trade Ambassador, applauds the University of Maryland Technology Enterprise Institute. UT supports Business in Maryland, through their excellent Business Model Challenge. Thanks to Under Armour founder and CEO, Kevin Plank, top student entrepreneurs competed for cash prizes. The grand prize and other cash prizes were complemented with coaching from a team of successful entrepreneurs. Philip Kapneck follows the events of the 2014 Cupid’s Cup Business Competition, run by the University of Maryland’s Robert H. Smith School of Business, Under Armour, and UMd alumnus Kevin Plank. Student entrepreneurs compete for the prestigious Cupid's Cup. Plank announced he would grant the 2014 grand prize winner exclusive access to a member of his professional network. Maryland's international ventures over the years are a tale of enormous success. Gov. Marvin Mandel, back in the early 1970s, started the efforts when he appointed Philip Kapneck as Maryland trade ambassador. On October 4, 2012, the World Trade Center Institute, Legg Mason and the State of Maryland had a successful evening of showcasing Global Markets and Business Success. Diplomats and Senior Executives attended "Embassy Night" at the Ronald Reagan building and International Trade Center in Washington DC. Ribbon cutting ceremonies in the State of Maryland started to take hold in 1976 when Trade Ambassador Kapneck made them his personal celebration of opening businesses and industry in Maryland. He brought the ceremony back to life, on his return from a tour to Brussels, Belgium. He went there to head up the first overseas office of International Business and Economic Development for Maryland. Maryland export numbers increased more than twice the national average. New Cool Specialty Garments are A Big Hit! BETHESDA, MD - FieldTurf's local state office in Bethesda was introduced to the great state of Maryland by Trade Ambassador Philip Kapneck. They held a ribbon cutting ceremony at the prestigious Naval Academy Stadium on FieldTurf. Since then, many local businesses have experienced a significant amount of growth. The success stories of these companies exemplify dedication and support of local businesses by Trade Ambassador Kapneck. Dignitaries in attendance included the Secretary for the Department of Economic Development for the State of Maryland, Aris Melissaratos. In addition, the Maryland State Trade Ambassador, the Honorable Philip Kapneck. The Naval Academy director of athletics, Chet Gladchuk represented the Navy-Marine Corps. Intrinsic Yacht & Ship worked with Trade Ambassador Kapneck to open their business. This showcased the success of privately owned companies in the State of Maryland. Chris Ruggieri, president of Intrinsic Yacht & Ship said Intrinsic chose Annapolis for its headquarters. Its strategic location in the Mid-Atlantic region created its essential value to the boating business. This event celebrates the new FieldTurf Tarkett and the opening of its first Maryland office in Bethesda. Maryland State Trade Ambassador, the Honorable Philip Kapneck attended with the Naval Academy Director of Athletics, Mr. Chet Gladchuk. Also see the press release here. Online newspaper editor writes about the work of Maryland Trade Ambassador. The story notes his charity work for the American Diabetes Association and Children's Hospital and bringing jobs to Maryland and the USA. This site celebrates his effort over many years, referenced prior to December 2014. It also notes that after recognizing his highly regarded work in Brussels, the Federal Government sought out his help to start the “Invest in the USA” program in Europe. Hon. Ambassador Philip Kapneck attended with other Maryland officials at the 2011 Embassy Night, in Washington DC. Also attending were ambassadors from all over the world and key business executives. Robert L. Walker, Secretary for Business and Enterprise Development, and Ms. Signe Pringle, Program Director for the Office of International Investments and Trade for DBED attended. Effectively surfing on a wave of goodwill, Trade Ambassador Philip Kapneck called on companies he previously helped to set up business in Maryland. He asked them to find jobs for people who lost theirs with other companies. While this was not one of his duties, he felt it was essential to help those in need of work. Ambassador Kapneck introduced many companies to Maryland by helping them establish in the State of Maryland. New companies are a valuable part of the state economy and this in turn, helps to increase employment. Once companies are established he continues to assist them by connecting with other business operations. This makes the new companies a valuable part of the state economy and helps reduce unemployment numbers. The newspaper highlights those who work for the people and make America stronger. Philip Kapneck To Attend 26th Embassy Night in Washington D.C.
Maryland's Trade Ambassador is to attend Embassy Night 2014, with the region's business and Embassy representatives from thirty countries. The event highlights the business results from the past year and encourages discussion of future plans for the next year. The World Trade Center Institute and the Maryland Department of Business and Economic Development host the event. Embassy Night 2014, was held on October 7, 2014 at the Ronald Reagan Building and International Trade Center. Chamber members say Philip Kapneck has great business knowledge and background and would be able to direct small business in new ways of marketing their products and creating new economic opportunities. "His word is his bond"
"Ambassador Kapneck, for the past thirty years, has brought a multitude of jobs into Maryland and USA. And when he is not overseas he works without remuneration to help the citizens of Maryland find jobs with companies he brings into the State." "Maryland Trade Ambassador Phil Kapneck is not only the Maryland Industrial Ambassador, but also our State’s Good Will Ambassador." "I especially want to thank my motivator, Phil Kapneck, Maryland¹s Trade Ambassador, who keeps me in good spirits." Note: This is the official website for Maryland Trade Ambassador Philip Kapneck, presented by the State of Maryland. It was created to assist him in promoting business in the State of Maryland, to help businesses get started and to increase employment in the State. The State of Maryland has compiled and used these news articles from the internet and business news.